FORM is looking forward with much anticipation to the 29th International Sculpture Conference (ISC), which will be held in our hometown of Portland, Oregon this year. The Call for Panels is now open! 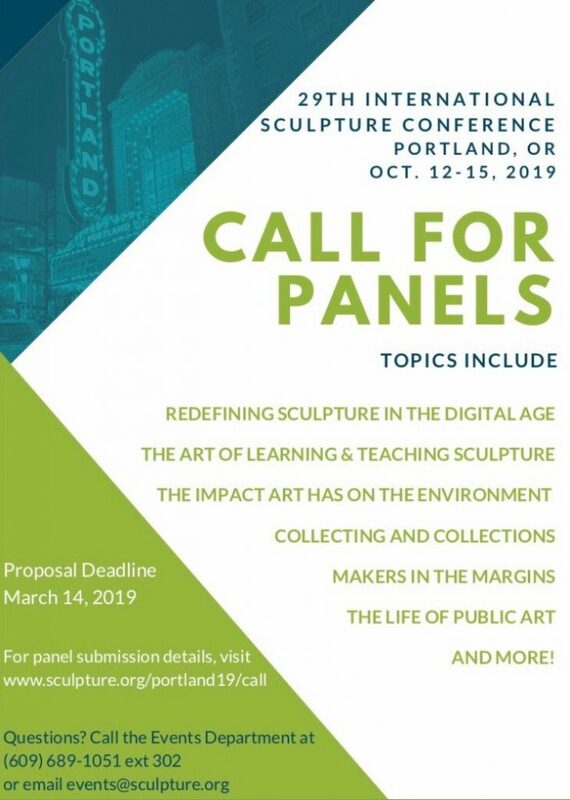 For submission details visit: https://www.sculpture.org/portland19/call or contact the event department at: events@sculpture.org or (609) 689-1051 x302.